Everything about Siberian cat breed. 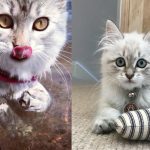 Why does my Siberian cat meow so much? 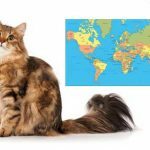 Siberian cat price – how much do Siberian cats cost? 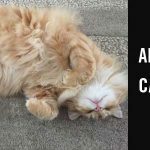 Siberian cat shedding – will you drown in cat hair? 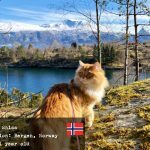 Best food for the Siberian cat – are you feeding your Siberian right? Feeding your Siberian cat raw food diet – what you need to know! Jewel Justyna and Jayson Jaguar the Neva Masquerade Siberian couple! Meeko and Sassie, the Siberian brother and sister! 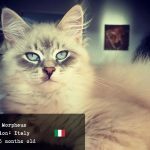 Arthas the Siberian cat from Finland! 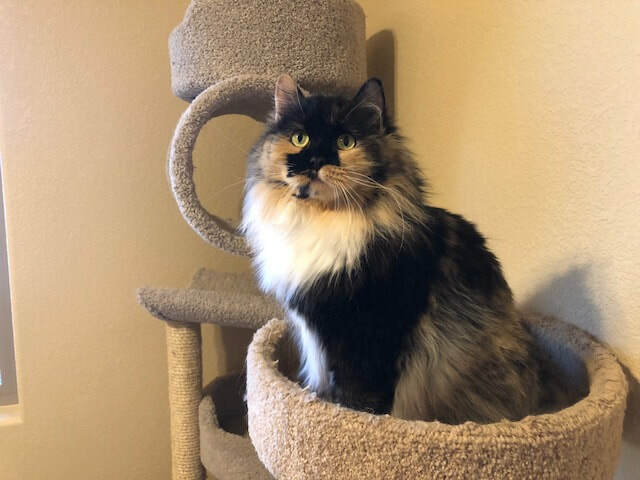 If you are looking for Siberian cat breeders in California or Arizona, you are in the right place. 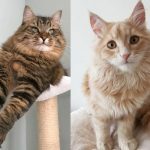 Today I am interviewing Tina, the owner of Pumaridge Siberians, a Siberian cat cattery located only a short drive (and even a shorter flight!) away from Las Vegas, San Diego, Los Angeles and Bakersfield Ca. How long have you been breeding? I was solely a dog person and my husband is a cat person. When we got together he came with a cat and I came with a huge dog. We started out breeding Rhodesian Ridgebacks and did that for 10 years then slowly transitioned into Siberians after my husband became injured and could no longer help me with the 100 lb dogs. We have now been breeding our Siberian (Dog-Cats) going on 6 yrs. We like to say that Siberians are the dogs of the cat world due to their dog-like personalities. This breed has definitely turned me into a cat person. 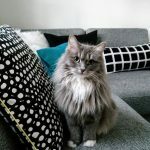 Why do you like breeding Siberian cats in particular? When I knew that we could no longer breed Rhodesian Ridgebacks I spent a full year researching different breeds of cats. I am a animal lover and just can NOT do with out animals in my life. I knew that to just breed for the sake of breeding was not an option for me with all the cats and dogs in shelters. I had to find a cat that served a purpose in peoples lives. My husband and son are allergic to long haired cats so I figured they were not an option and then I found Siberians. We bought a male named Apollo and my husband and son had no reaction. Then I invited a friend over that had Asthma and he had no reaction. We were thrilled to say the least. Pumaridge Siberians was born. What is special about your Siberian cats? and/or In which ways would you say your cattery is special/different from other catteries? Our cattery is registered with both CFA and TICA. We specifically socialise all of our cats and kittens with our 3 Rhodesian Ridgebacks so that when the kittens go to new homes they have been around dogs enough to make any transition into a dog home quite easy. As a retired nurse with many years of nursing and breeding experience I can look at a situation with a animal and diagnose the problem pretty quickly. My nursing experience has also taught me a lot about genetics and the immune system. This has been extremely helpful in my day-to-day life with the furrkids. Do you have any particular approach to breeding? Funny enough I take my approach to breeding from when I was showing my Ridgebacks in the show ring. My dog was attacked outside the ring by a dog that was with a professional handler. I knew right in that moment that just because the dog was gorgeous and a champion that dog should never be bred. Sadly that dog went on to have many litters with I’m sure many off-spring with temperament issues. That taught me to have a 1. 2. 3. criteria when researching pedigree lines. Health 1st, Temperament 2nd and type 3rd. Without the first two the third doesn’t matter. 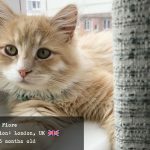 We have cleared our cattery 2 times and started over due to dealing with unethical breeders that sold us breeding cats that had HCM and FIP in their lines. Dealing with the heart break right along with the Kitten Parents and then replacing those kittens for them (REALLY how can you replace a family member?) has taught me how to research the pedigrees with a fine tooth comb and not take someones word when they say “we breed from lines with unknown issues” so as not to have to put anyone through loss like that again. What can we tell our visitors to make them confident that your Siberian kittens are genetically healthy? Do you do genetic testing?Do kittens come with a warranty/ vet certificate? EXPERIENCE, EXPERIENCE, EXPERIENCE. All of our adults are Heart scanned by a board certified Veterinary Cardiologist. We are a tested FIV, Felv, PKD negative cattery. All of our kittens are sold under contract with a health guarantee. Test results shown upon request. We also take each kitten to our vet for a thorough check up before they go to their new homes. Are your kittens hypoallergenic or tend to cause less issues for people with allergies than other cats? Yes. Siberian cats are considered HYPO-allergenic. HYPO meaning low NOT Non-Allergenic. Many people with cat allergies may have little or no reaction to them. Due to the low level of Feline d1 protein (Fel-d1) in their saliva. We have found this to be true first hand with members of our family. 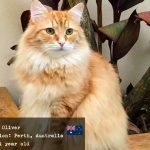 Why would you recommend someone to get a Siberian cat as opposed to any other breed? Low allergens levels being a big reason. 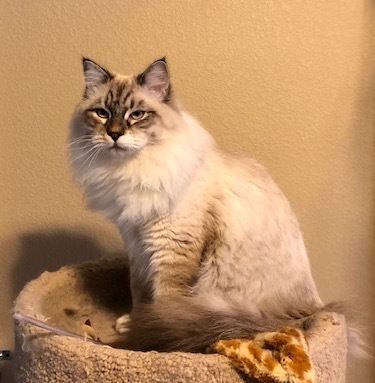 If you want a big mack-truck type bodied cat that is playful for a lifetime and will come greet you at the door when you come home then a Siberian is what you are looking for. 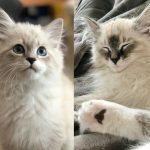 Would you have any advice for a first-time Siberian kitten owner? Please do your research. Siberians are prone to certain health issues just like all breeds. Look into the cost of pet health insurance. You have insurance for yourself you should get it for your furry family member as well. Track the costs for the 1st year of cat ownership. Can you dedicate the time to grooming, training and play? This is a lifetime commitment. A Siberian is a high energy cat. 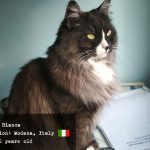 Read books on what to do as a 1st time cat owner and how to care for them. This is a must. Here is a big point: Look for a breeder you feel comfortable with. Do you feel like the breeder is answering your emails and questions? 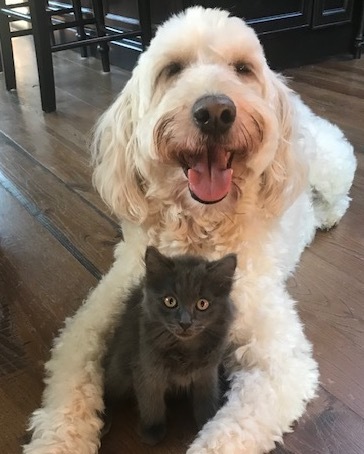 Do you feel like you could have a lifetime relationship with that breeder or are they just pushing the kitten out the door and ready to move on to the next litter? We are there every step of the way to answer all the questions. 2 weeks before the kitten goes home a lengthy detailed email is sent out explaining exactly what to feed, what litter to buy and exactly every item to have on hand for the new arrival as well as what to do with the kitten as soon as you bring it through your front door. Where are you located and what’s the best way to contact you to find more information or to get on a waitlist for a kitten? We are located in Kingman AZ, which is in the northern part of the state and we are 1 hr and 40 minutes from Las Vegas. We are 6 hrs from San Diego Ca, 5 hrs 25 mins from Los Angeles Ca, and 5 hrs 11 mins from Bakersfield Ca. We can meet people at the Las Vegas airport as needed for pickups. We never ship our kittens and cats like Cargo. However we gladly meet people at the airport so they can take their kitten home with them in cabin. Our website is www.pumaridgesiberians.com we are on Facebook as well and we can be reached by email too at pumaridge@yahoo.com Serious kitten inquiries are asked to fill out our kitten application 1st so that we may see what type of allergies a person has as well as vetting them as a prospective new kitten parent to our Pumaridge furrbabies. This was an interview with Pumaridge Siberians, Siberian Cat Breeder in California and Arizona. Welcome to Siberian Cat World! Hello and welcome to Siberian Cat World! This website is the world’s largest resource on Siberian Cats. We are all about this wonderful breed. 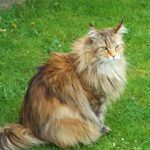 I hope you can find all the information you need about Siberian cats on our website. 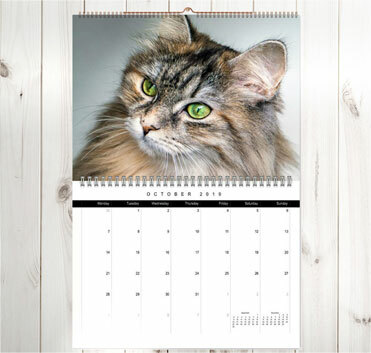 Our 2019 Siberian Cat wall calendar is now for sale! 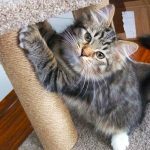 Siberian cat shedding – do Siberian cats shed a lot?